Black Friday Extended Sale - Save 30% on over 6,000 items! It all starts and ends November 26th. 30% Off Thoudsands of Puzzles - Now thru November 26th! We figured Black Friday was so successful, we might as well keep up the holiday spirit and extend this special to you all weekend long. Now through Cyber Monday, save 30% on THOUSANDS of puzzles and games. Hurry and keep shopping before this special is long gone! *Sale does not apply to Puzzle of the Month Club, Gift Cards, Custom & Wooden Puzzles. Select brands only while supplies last. 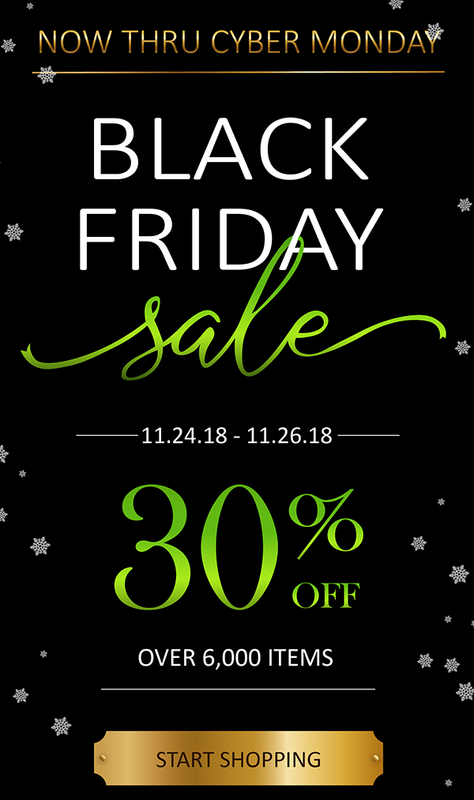 30% Off Black Friday Promo - Valid starting11/24/2018 through 11/26/18 on select brands only. No coupon code required. Additional coupon codes are not applicable during this offer. All prices and/or promotions are reflected in USD. Offer cannot be applied to existing orders or combined with other orders. Free shipping valid for orders $75 or more to US addresses. Free shipping not valid on International orders. All deliveries are pending credit approval and merchandise availability. Deliveries may be delayed due to carrier issues or weather conditions.